Malden, Massachusetts — The Massachusetts Commissioner of Education has released an outline of its new school policy regarding gender equality, mandating that boys be allowed to use girls restrooms and locker rooms — and vice versa — if they contend that they prefer to identify with the opposite gender. The 11-page document, written by Mitchell Chester, is stated to be in response to a gender identity law that was passed last July in the state. “This guidance is intended to help school and district administrators take steps to create a culture in which transgender and gender nonconforming students feel safe, supported, and fully included, and to meet each school’s obligation to provide equal educational opportunities for all students, in compliance with G.L. c. 76, §5 and the state regulations,” it states. As part of the outline, entitled Nondiscrimination on the Basis of Gender Identity, Chester explains that students need to be permitted to use whichever bathroom or locker room they wish. He states that as long as the child asserts that they would rather identify with the opposite gender, they should have the access that they desire. He says that although some children may not like those of the opposite gender sharing such private and personal spaces, school officials must teach children how to overcome their feelings. 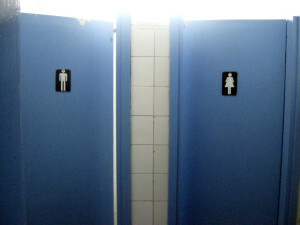 He recommended that schools have a unisex bathroom available as well so that students are presented with various options to suit their comfort. Chester also goes on to mandate that children be addressed by their preferred gender identity and not as their birth gender, including in official school documents, and that they be referred to by their new feminine or masculine name. WND reports that some local organizations are disturbed about the policy. Democratic state Representative Colleen Garry says that she is working on an amendment to the law that would close up any loopholes allowing such situations.